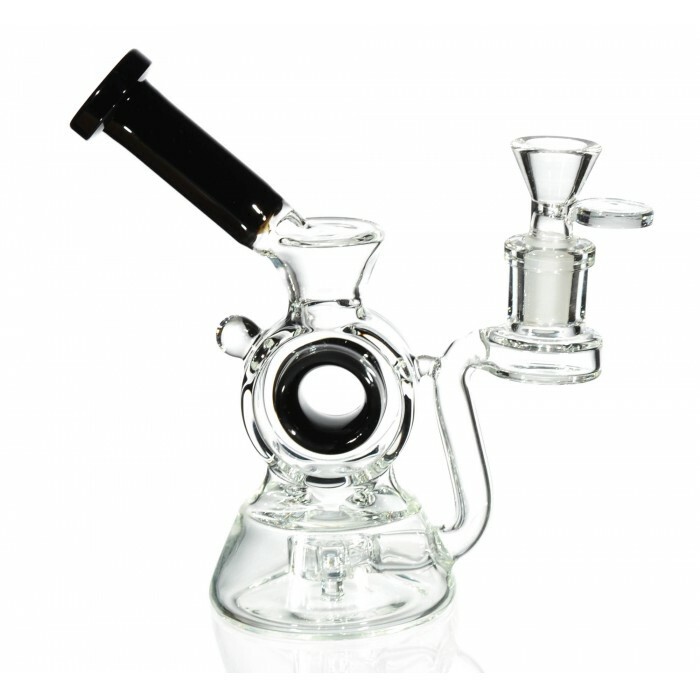 The Ray Gun - 7” Hollow Cylinder Dab Rig Recycler - Charcoal Black -The Greatest Online Smoke Shop! Crazy design that looks like a futuristic weapon. Hollow Cylinder is very hard to craft. 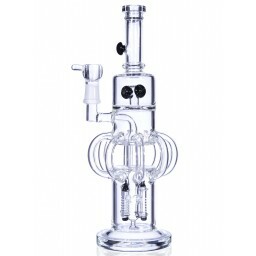 Recycler style, meaning the water you put into the piece is “recycled” as it moves through the various chambers. Circ Perc sits in the chamber to ensure topnotch filtration. Dope downstem extends from the side of the piece. The neck of the pipe is angled for a comfortable smoking experience. Thick mouthpiece is easy on the lips. Body of the bong is a large circle that not only looks awesome, but allows for the “recycling” of the water to take place. Body of the piece is connected to the chamber via two “legs” A small glass bubble protrudes from the top of the circle for extra grip. 3.5” chamber holds plenty of water. 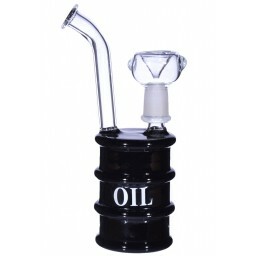 Comes with a 14mm bowl that has a convenient handle, so removing the bowl is easy. Doubles as a dab rig, all you need is the nail or banger! 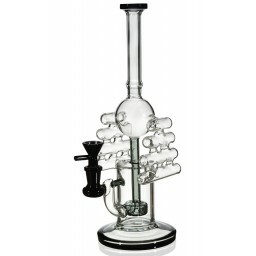 Check it out, this is no ordinary bong/dab rig! 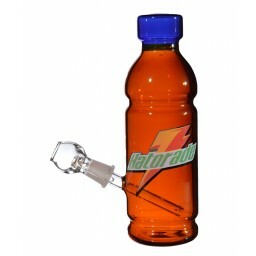 The Ray Gun is designed with the future in mind, as it looks quite different than a classic bong/dab rig. 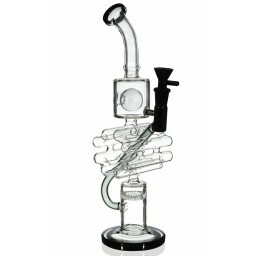 It acts different as well, because this piece is a “recycler”. This means that as you hit it, the water inside the pipe moves through the multiple chambers, as if it is being recycled. Not only is this process fun to watch, but it adds another layer of filtration and cooling to the smoke before it reaches your lungs. The first layer is located at the center of the chamber, where the circ perc sits. The circ perc creates a medley of bubbles that begin the aforementioned filtration and cooling process. The look of the pipe can only be described as unique. 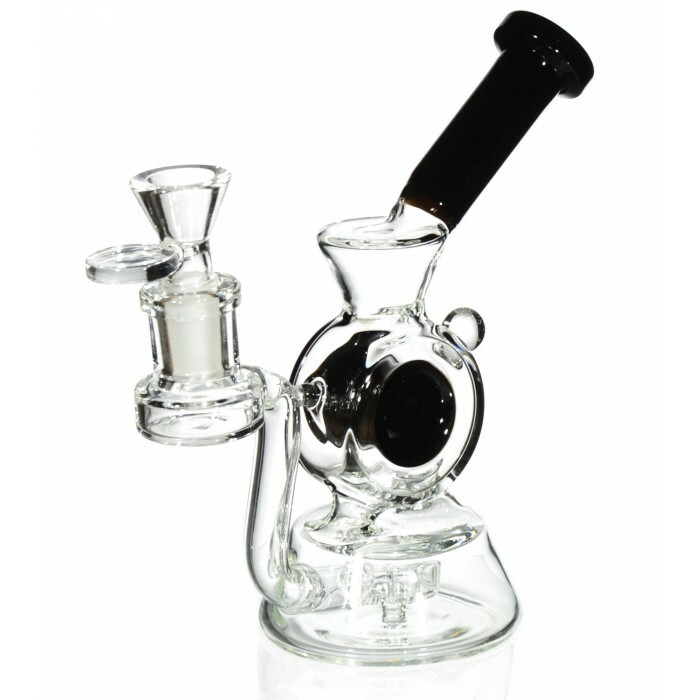 It starts away from the body of the bong, where the bowl and downstem extend until they meet the bottom chamber of the piece. 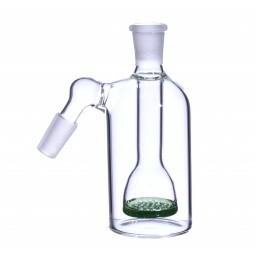 The neck comes out from the bong at a 45 degree angle, so you don’t have you bend your neck at an odd angle to hit it. For additional comfort, we made the mouthpiece thick and pronounced. 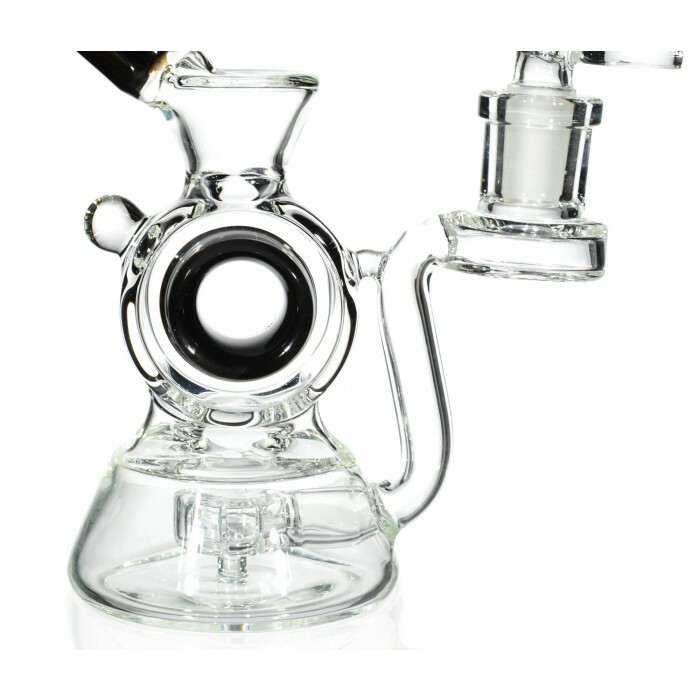 The highlight of this piece is its dope circular and hollowed out main chamber that connects to the bottom chamber via two “legs”. You can put your fingers through it to provide more grip. This is where the recycling of the water happens, which is very fun to watch, especially after a couple hits. A small glass bubble protrudes from the top of the circle, adding another object to grip. 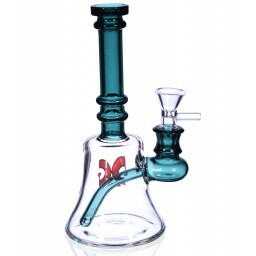 At 7”, with a 3.5” bottom chamber, this piece produces perfect hits every time. Plus, it comes with a 14mm bowl that has a great little handle, so you can easily remove it from the bong. 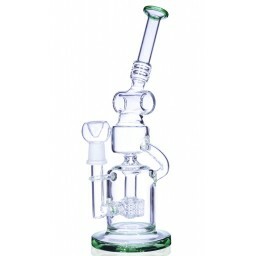 Although this piece arrives as a bong, all you need is a nail or banger and this bong becomes a dab rig instantaneously! Get serious about your glass collection, grab The Ray Gun today.